Winnipeg Jets goalie Ondrej Pavelec has been convicted with impaired driving in the Czech Republic, his home country, according to a media report. Pavelec, 24, was involved in a crash there in May, according to an exclusive report from Nova Sports, a Czech broadcaster. The report claims that Pavelec had a blood alcohol level of 0.2 — more than twice the legal limit in Manitoba — when his BMW rear-ended another vehicle. No one was reported to be injured. Pavelec was handed a six-month suspended sentence and was ordered not to drive for 20 months, according to the media report. Winnipeg Jets general manager Kevin Cheveldayoff confirmed that the NHL club is "aware of various, yet still inconsistent, internet reports pertaining to Ondrej Pavelec. "We, as an organization, are attempting to gather more information and until such time as we are comfortable and have a full understanding of the situation, we will not be issuing any further comment," Cheveldayoff said in a statement, issued late Monday. Pavelec's agent has not returned calls from CBC News seeking comment. 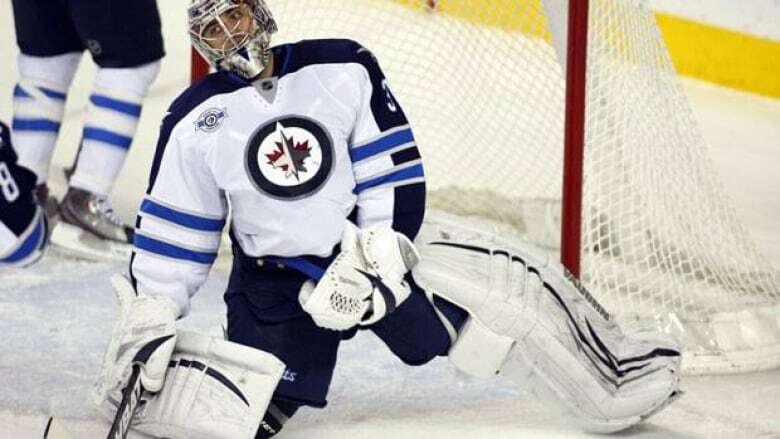 The Jets signed Pavelec to a $19.5-million US, five-year contract late last month. It's not the first time Winnipeg's NHL team has had to deal with its players' legal troubles. Defenceman Dustin Byfuglien was charged with boating while intoxicated after police in Minnesota stopped a boat he was driving on Lake Minnetonka in August 2011. Earlier this year, Byfuglien tried unsuccessfully to plead guilty to a lesser charge of careless boating, meaning his case will go to trial. Byfuglien is scheduled to appear in court in Minneapolis later this week.